Ken Wells from NH was at the shop today working on his scratch-built Gmund Porsche SL First thing he is making is the floor pan chassis which was made entirely out of 18 gauge steel sheet bent up and spot welded. Ken has made full scale drawings and is now translating them into cardboard to get a feel for how they made those first Porsches in the sawmill so many years ago. Here is some of his first cardboard mock-ups. Once he is satisfied he will start cutting the sheet metal up and start bending it. Ken Wells from NH hasn’t been able to visit the shop as much as he would like to, but when he does he is very productive. Ken is participating in my Extended Learning Program, his passion and goal is to scratchbuild a Gmund Porsche. He has worked for over a year collecting all of the information he can to help him build what was the Chuck Forge red Gmund Porsche Spyder. Chuck Forge raced his Spyder at California tracks for many years. Amazingly Chuck’s car before the roof was removed was the Porsche SL coupe that actually won Lemans- Porsche’s very first entry at Lemans. Ken is a perfectionist and this build will be as good as it gets. He started with full scale drawings of the sheet metal frame/platform, he then proceeded from the drawings to cardboard models of the major sheet metal components of the platform/frame. 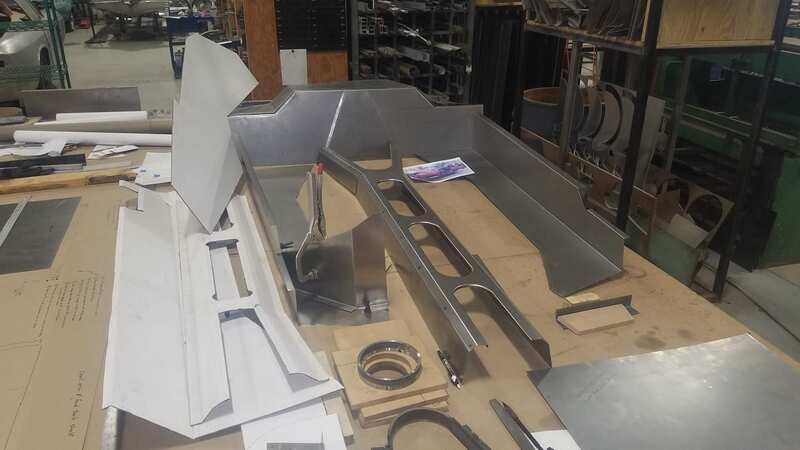 He is now making prototype 20 gauge steel sheet metal components to work out all of the intricate joints and folds, later he will make all of the same components in 18 gauge steel sheet just like the original Gmund Porsches were made . Ken recently retired as a teacher at St Mark’s School in Southboro, MA. He taught there for 30 years before retiring. His teaching discipline is guiding him through the whole build. 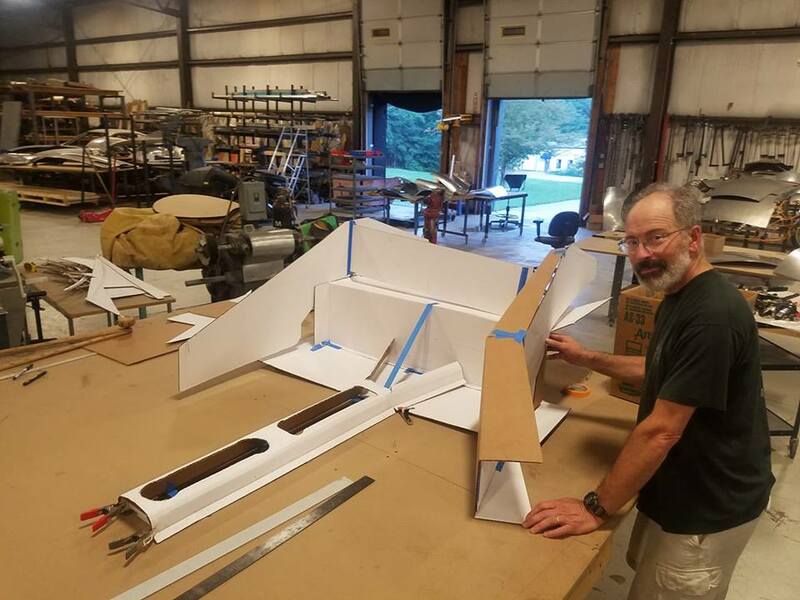 Ken is recording and documenting the build with high quality photos and well written descriptions of the entire process. The recorded information will be later published as a book when he completes the build.